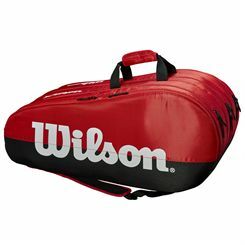 Wilson squash bags have very stylish designs and are made from good quality materials. For lower environmental impact, they do not contain PVC. 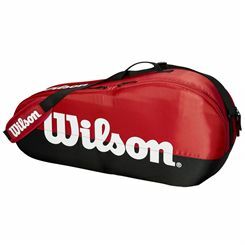 Wilson’s squash bags offer safe storage and transportation of rackets or other kit. 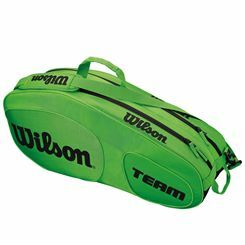 Some of them have special ThermoGuard and MoistureGuard compartments that help protect the equipment from varying temperatures or moisture. 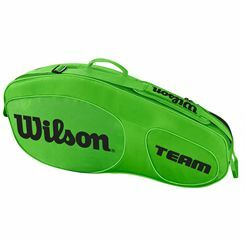 Many of the bags have also been provided with a removable shoe bag to keep footwear separated from the rest of your items and adjustable straps for comfort of carrying. 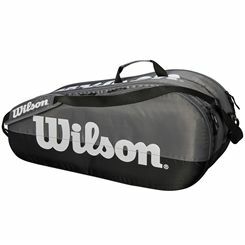 Wilson’s backpacks are great not only for transporting rackets, but can also be helpful in other types of physical activity to transport your clothes and equipment.